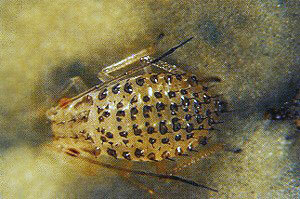 The species has been introduced into the United States and is there an important pest in luzerne cultivation. Blackman & Eastop (2017), Börner & Franz (1956a). Lampel & Meier (2003a), Müller (1986a), Müller & Horatschek (1980a).